-Heat the coconut oil in a deep pan. Make sure the oil is vey hot. Put the rice vermicelli into the pan. The vermicelli should be cooked and will puff up very quickly. Take the vermicelli out and transfer it onto some kitchen paper to absorb the excess oil. Then set it to one side. 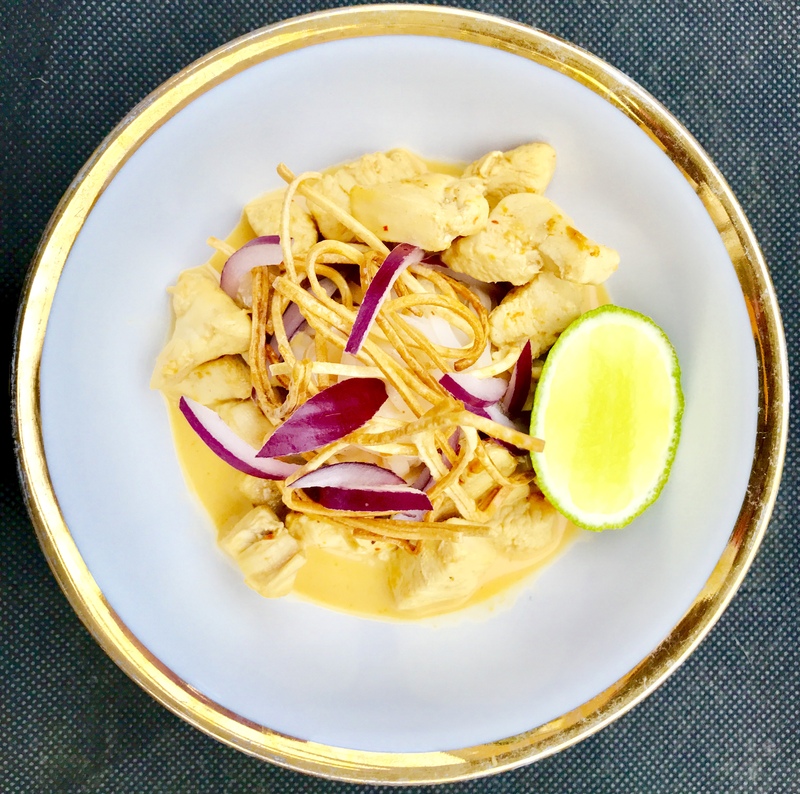 -Gently boil the coconut milk with red curry paste and simmer for approx. 10 -15 minutes. Keep an eye on the pan and stir occasionally. -Add the chicken breast, curry powder, garam masala and water. Then simmer for another 10 minutes. -Add the coconut sugar, fish sauce, salt and limejuice. Then simmer for further 5 minutes. -Cook the rice noodles according to the instruction on the package. Drain the excess water and transfer the noodles into the serving bowl. -Pour the velvety soup into the same bowl. Garnish with red onion and crispy rice vermicelli. 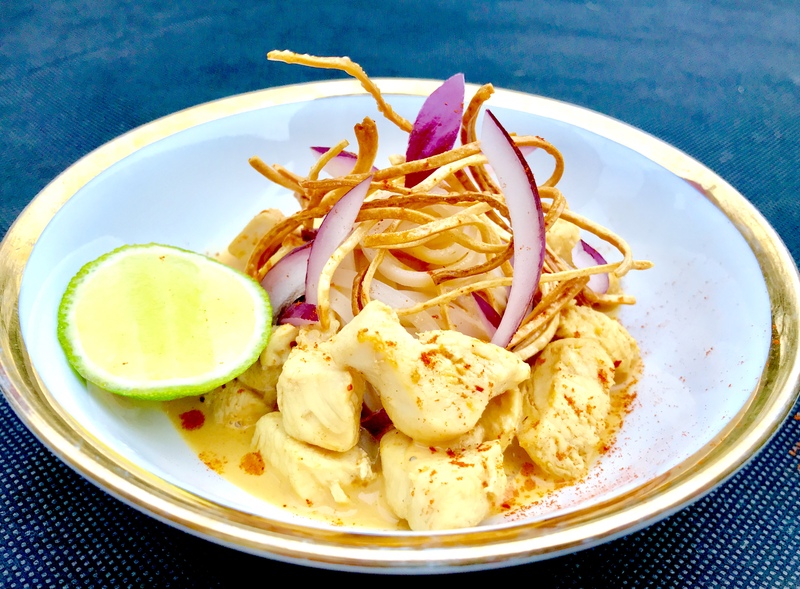 Serve Khao-Soi immediately. -Surprisingly, this soup is great with a tiny handful of Sauerkraut. -Keep adding the water, if the soup is too thick/creamy.